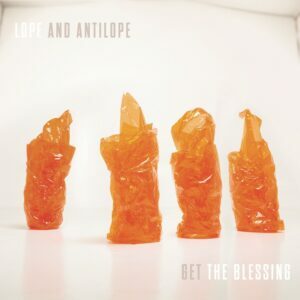 Get The Blessing – Lope and Antilope (Naim Label). Formed in the year 2000, Bristol’s Get The Blessing bring a decidedly futuristic take on the jazz genre, whilst still being firmly grounded in the traditional interplay of live instrumental dynamics. The line up has remained stead fast throughout, with Portishead rhythm masters Jim Barr and Clive Deamer on bass and drums respectively, Pete Judge on trumpet and Jake McMurchie on saxaphone. Their worldwide touring over the last two years has won them a truly international fan base, as well as the experience of travel and the rhythm of movement inspiring the album and it’s title. From the outset, the album seems to be taking us on an uncharted journey through Jazz’s more leftfield vistas. Their use of fx pedals and other electronic gizmos to embellish the natural timbres creates a woozy, unsettling feeling that always enhances and is never awkward. Opening track, ‘Quiet’ (see below) for instance, treats the saxophone to Theremin-like pitch bends, unhinging its natural course to create a new tonal vernacular. The Bass and Drums pitter patter like a melancholy rain, and matched with the dreamy fluidity of the trumpet’s notes, a heady synch pated soup is the order of the day. Each track is a journey in and of itsself, flowing and swelling in all the right places, surprises abound. ‘Little Ease’ begins all laid back until the darker notes of the saxophone take the reins and the band find themselves in to a gallop, grooving the tempo until it bursts into chorus-like abandon, with Judge’s trumpet acrobatics forming the tingling backbone. Tracks like, ‘Corniche’ and ‘Antilope’ flitter and flutter with such belying catchiness, whilst, ‘Luposcope’ finds the band playing with more Electonica textual palette. The very title of, ‘Viking Death Moped’ conjures a very precise picture of its content, a horny and heavy little number indeed. Just when you think things are getting a little ‘deep’, a playfully uplifting addition isn’t far away as track, ‘Hope (For The Moment) can attest. ‘Trope’ and ‘Lope’ really let all the musicians do their thang, each getting to solo their imbued talent, taking the tracks all over the shop in only the way a good improv track can. Free of conventional constrictions and brimming with feeling and expression. Last track, ‘Numbers’ is like a beautiful cloud rising and falling with atmospheric fluctuations, occasionally spitting out some dirty rain upon the land. This album is an incredible achievement in which there is not one bad aspect. A Masterpiece of temperance and understatement, a career defining moment in which we all fall in love with ‘The Blessing’. You can visit the band’s website here, Facebook here, and Twitter here.